"Sampath Speaking" - the thoughts of an Insurer from Thiruvallikkeni: violations ~ social media shaming ~ presence on web ?? violations ~ social media shaming ~ presence on web ?? What sort of presence you have on the web and how much on social media ? – do you spend time on Social media : Instagram, Whatsapp, Facebook, Twitter and the like ? – should the Q be – are you addicted and how many hours do you spend on them ?.. .. .. .. .. .. but before all that, check what your Company .. .. .. A social media policy is a corporate code of conduct that provides guidelines for employees who post content on the Internet either as part of their job or as a private person. In our place too, we have seen how chaotic situations are ~ especially when people walk or cross roads or drive vehicles – mostly hooked to mobile, they are unmindful of the potential danger that lays awaiting or more bad, the harm they could cause to other road users by their reckless act. Every time we see someone on road with neck bent – catching a mobile handset between ear, neck and shoulder. China reportedly is no better - Crossing the street in China can often have nothing to do with whether a light is red or green. Instead, people crowd onto the kerb until it reaches critical mass, and off they go -- traffic or no traffic. In order to solve the jaywalking problem, police in one region of the country of 1.4 billion people have come up with a solution: social media shaming. Police in the southern city of Guangzhou, China, recently set up a testing site at a traffic intersection near a subway station, the local Guangzhou Daily newspaper reported. Pedestrians who crossed the street without a green light would be stopped and asked to post their misdemeanour on popular Chinese social media platform, WeChat, according to the paper. 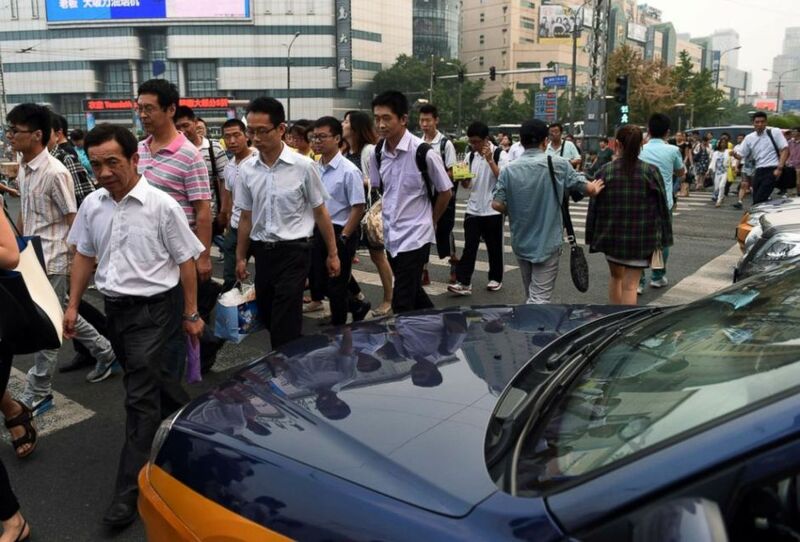 Offenders have to write up the details of how they broke the traffic rule, along with a picture, and the hashtag “Start from me to follow the traffic rule," according to Guangzhou Daily. Police will let the offenders go once they share the post to 10 chat groups, or gather at least 20 likes, Chinese media reported. Offenders can instead choose to watch a three-minute long educational video in front of an LED TV screen police set up by the side of the street, according to the reports. 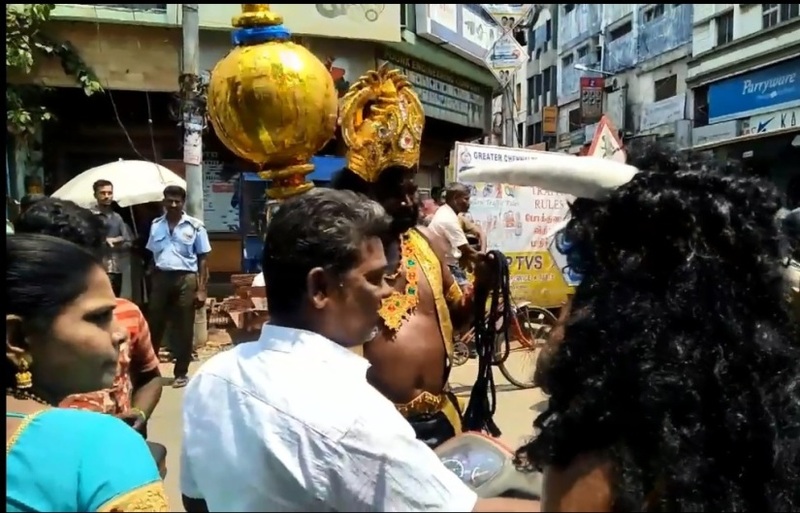 A similar exercise in creating awareness for ‘helmet wearing’ was made by Chennai Police where they tried shaming those caught not wearing helmets. The purpose was to educate and make them aware the need for compliance. Away, since November there were two cases of the Dutch police removing photos or videos from their social media feeds after complaints about privacy violations, Minister of Justice and Security said in response to parliamentary questions on the police's social media policy, NU.nl reports. The police regularly post self-made photos and videos on social media with the intention of giving people more insight into police work. But these images are not allowed to show anything that can be traced directly or indirectly to a person. In November last year the police placed a form on its website with which people can object if they believe they've been misrepresented in one of these photos or videos. In USA, in Oct 2017, cyclist JuliBriskman was photographed giving the middle finger to President Donald Trump's motorcade during a weekend bike ride in Virginia. The photo quickly went viral, and after it was taken, Briskman informed her employer, government contractor Akima, that she was the cyclist pictured. The next day, she was fired. Now comes the news that Briskman is suing Akima. "I filed this lawsuit against my former employer today because I believe that Americans should not be forced to choose between their principles and their paychecks," says the 50-year-old single mother of two in a statement shared with CNBC Make It. At the time of the event, Akima said that Briskman was forced to resign because she was in violation of the company's social media policy for sharing the photo on her Facebook and Twitter accounts. For the public act of shame, the Company response was swift and not altogether unexpected. The woman further contended that it was surprising as she had reported a male colleague — whose Facebook cover photo featured a reference to the company — for calling a coworker a "f-----g Libtard a-----e" during a discussion about Black Lives Matter on Facebook. The man, a senior director of operations, was not fired. Briskman's suit argues "that it violates Virginia employment law for a government contractor to fire an employee out of fear of unlawful government retaliation." It is chaotic out there !